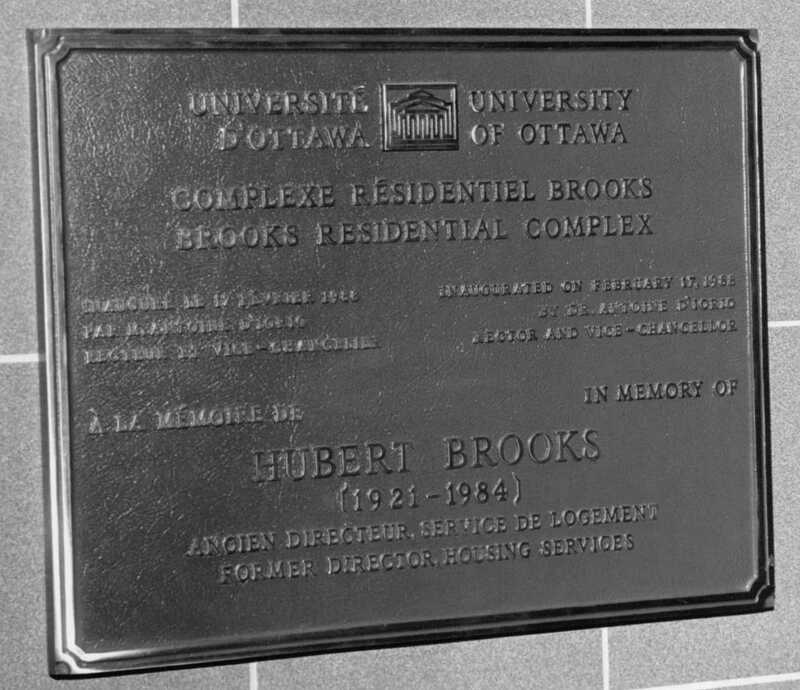 Following his death, the Université d’Ottawa decided to honor their former Housing Director by naming the new, planned student residence the Brooks Residence. 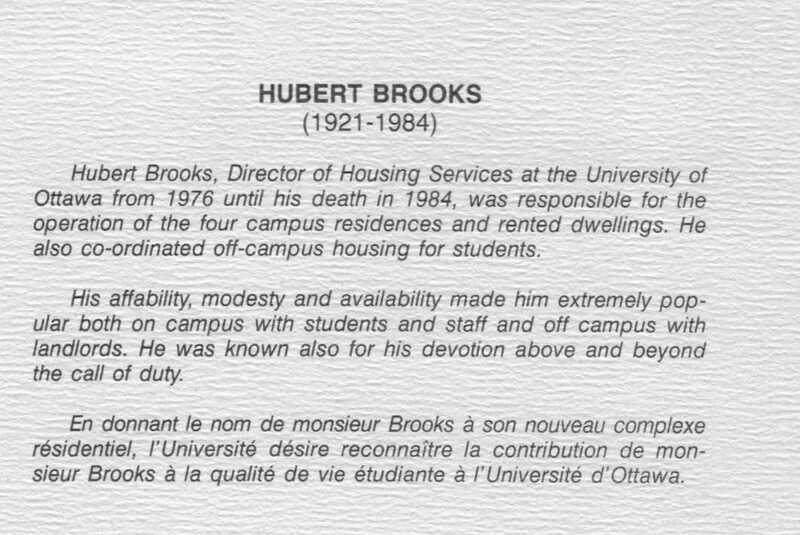 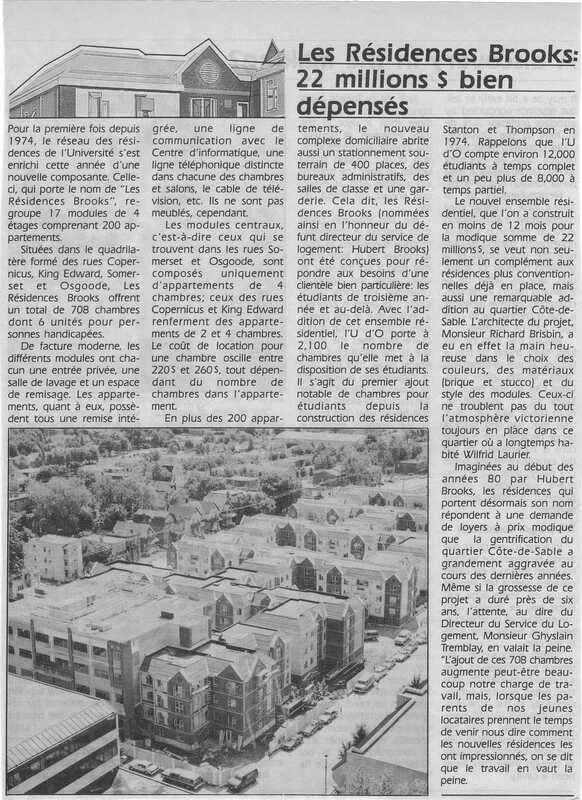 Hubert Brooks had tirelessly campaigned to improve the lot of student housing and had pushed for the construction of this residence. 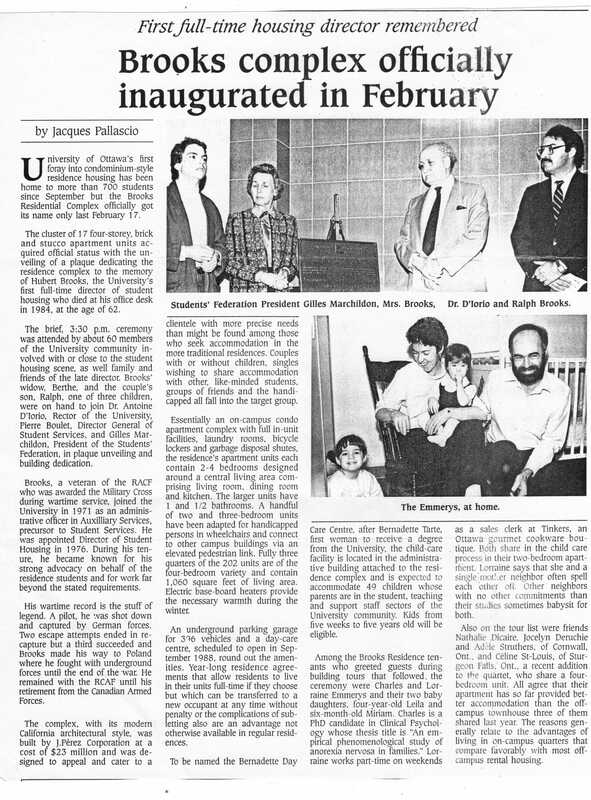 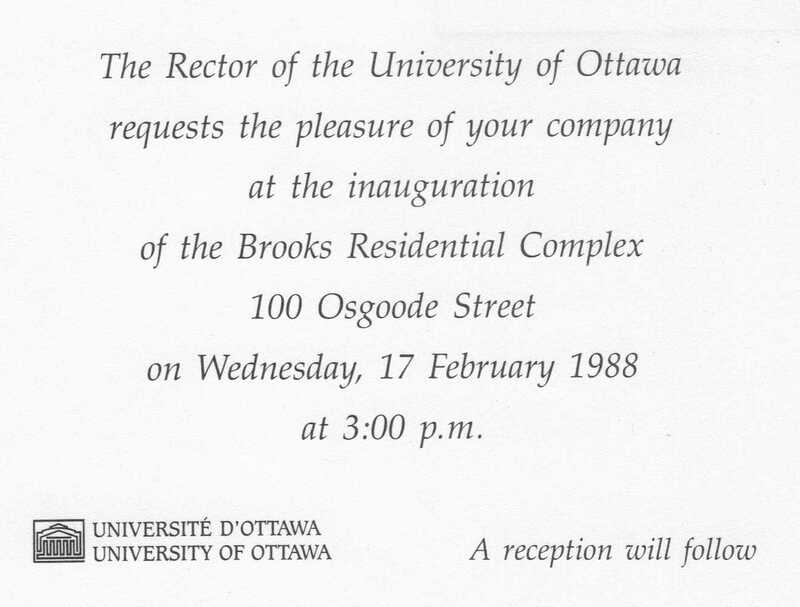 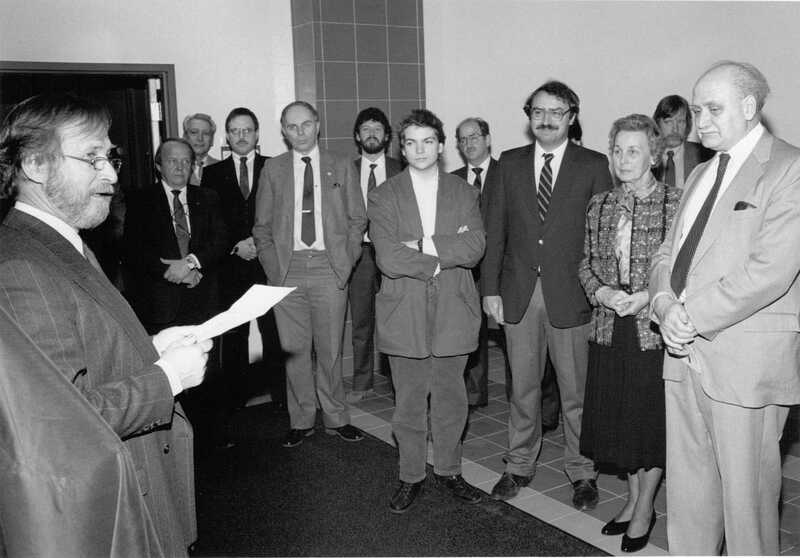 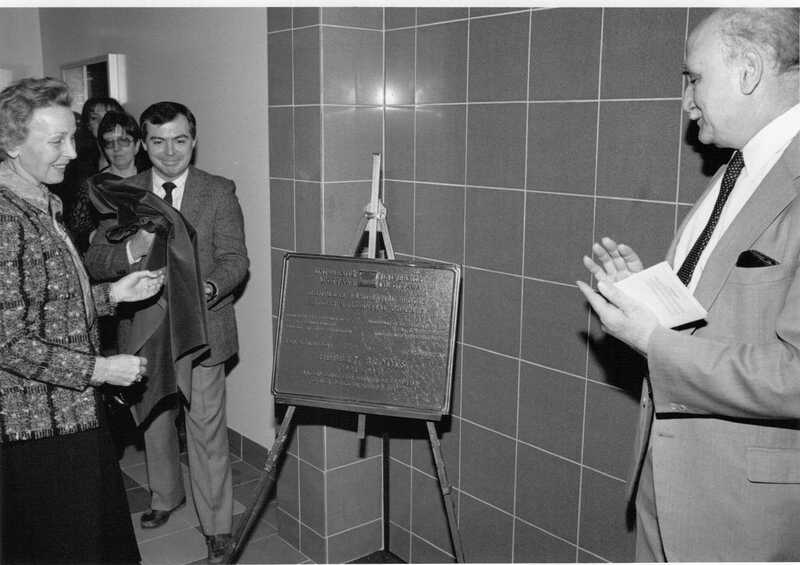 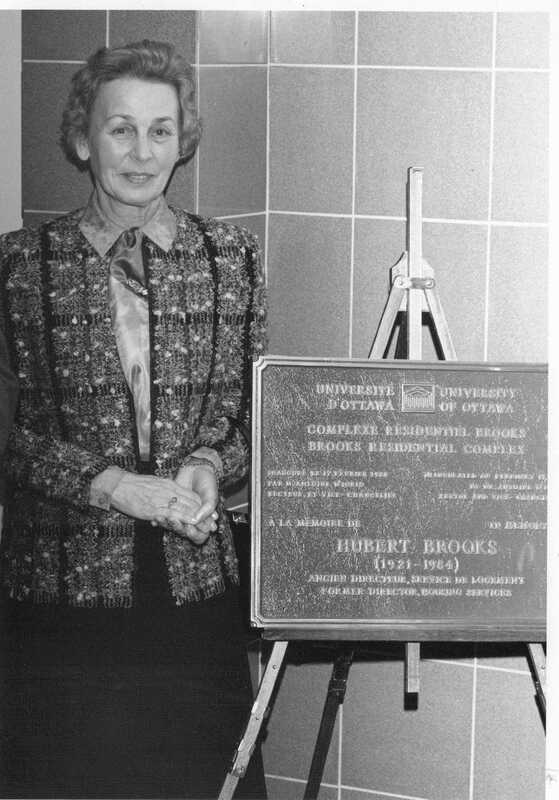 The inauguration of the $22+M Brooks Residence was held on 17-February 1988. 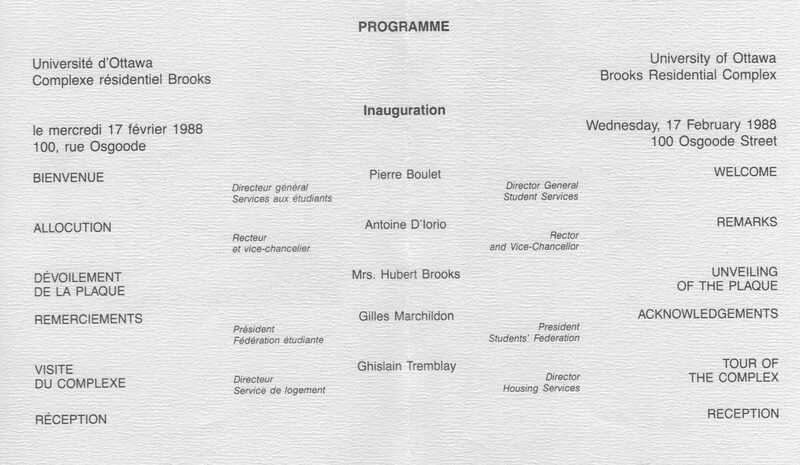 Wife Birthe Brooks and son Ralf Brooks attended on behalf of the family. 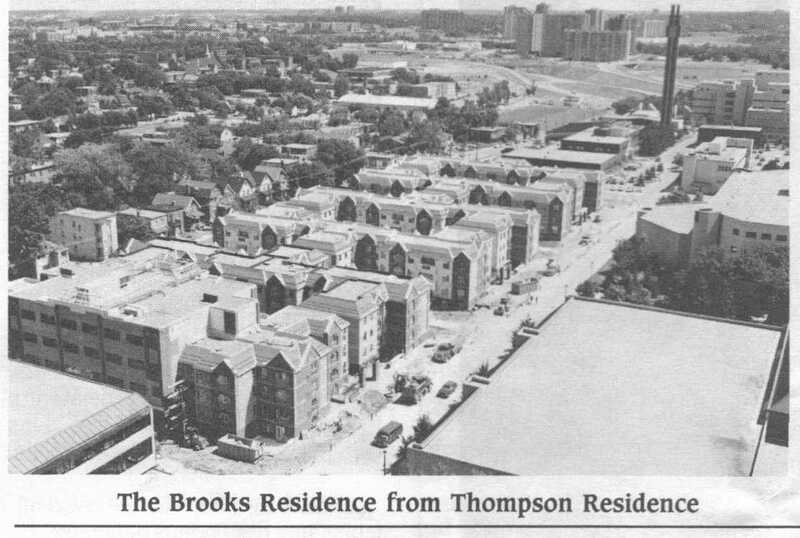 The name has been subsequently amended to the Brooks Complex. 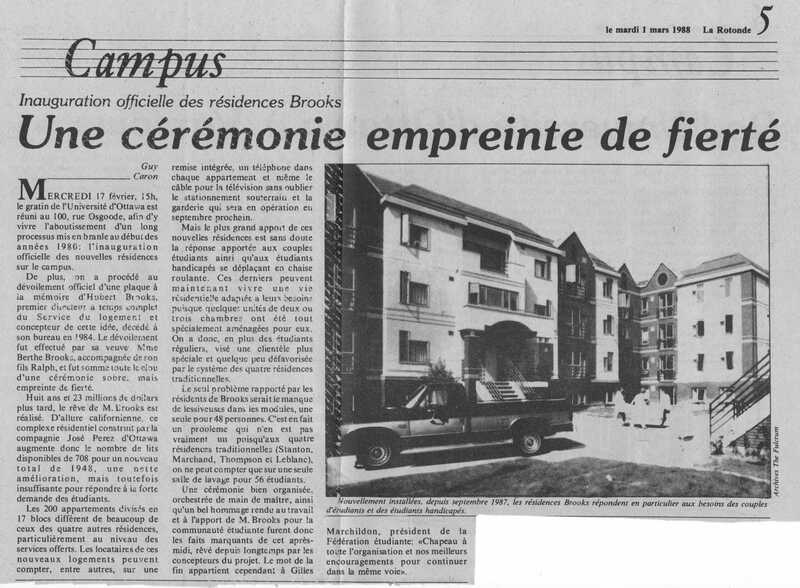 This $23-million Brooks Complex contains the Brooks Residence which has living space for 708 students (708 beds in 17 4-storey clusters, each with 11 to 12 units), and offers 400 underground parking spaces and houses the Bernadette Child Care Centre, which can accommodate 60 children, as well as classrooms and some offices for various university services. 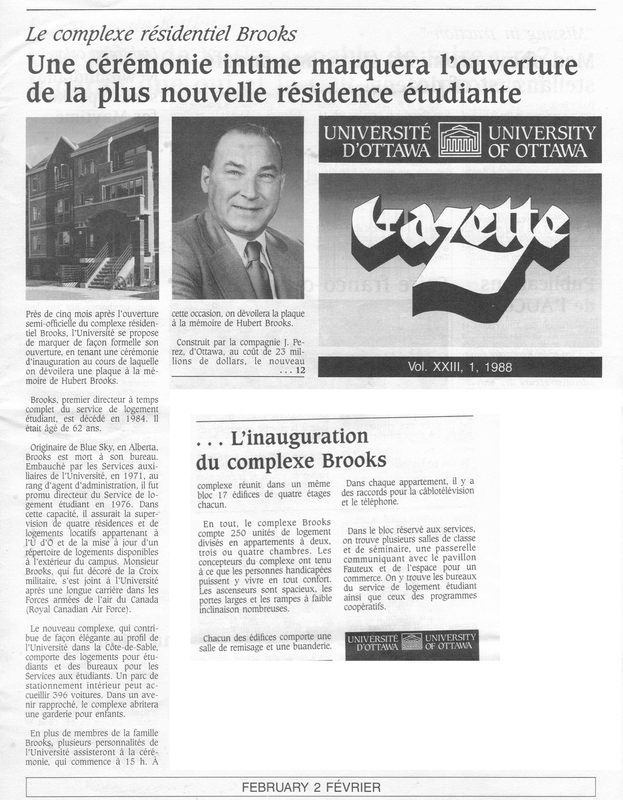 Among others, the administrative offices of co-op education programs and Housing Services are located in this complex.